Game of Thrones is coming to an end. The sooner we accept this reality, the better it will be for us. Okay, that sounds awfully morbid, but Game of Thrones has received love from all corners of the world unlike any other TV show in the past. Many of us are wishing that the show should not end with the upcoming season 8. Joining the club is the creator of the show, George R.R. Martin. The show is based on the series of books penned by him and he is also closely associated with the screenwriting itself. Game Of Thrones Season 8 Premiere: The First Fan Reactions Are OUT and They Will Make You Impatient For The Release! As the show nears its end, The Hollywood Reporter spoke to George about how he is feeling about it. He said, "I don't think it should be the final season. But here we are. It seems to me we just started last week. Has it been longer than that? The time has passed by in a blur. But it's exciting. I know it's an end, but it's not much of an end for me. 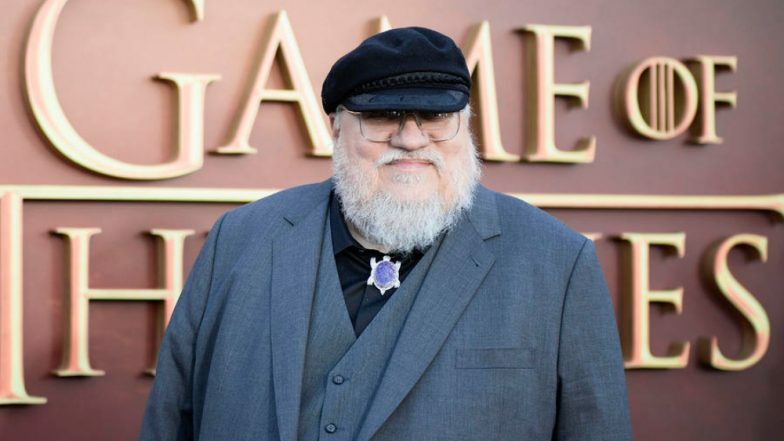 I'm still deep in writing the books,"
The good thing is that we might get to see more of the world in which the show is set if not Game of Thrones itself. George revealed that there are multiple spin-offs on the show in the works. "We saw five other sequel shows in development. I think I'm going to be hanging around Westeros while everyone else has left," he added. He also revealed the first pilot for one of these shows will start shooting soon. He said he loved the cast and director of the new show. Game of Thrones also became wildly popular for ruthlessly killing off characters, including the main ones, without as much of a small foreshadowing. "I'll point out that David and Dan [creators of the show] killed many more than I did. I can name 20 characters who are dead on the show but are alive in the books. Whether they will die in the books or not? Who knows," he said. Game of Thrones Season 8: 6 Characters We Really Want to See Perish by the End of the HBO Show Finale. We are eagerly looking forward to the premiere of Game of Thrones season 8. The show is set to air on April 14. The final remaining characters will fight it out for the Iron Throne while battling against the army of Night King.